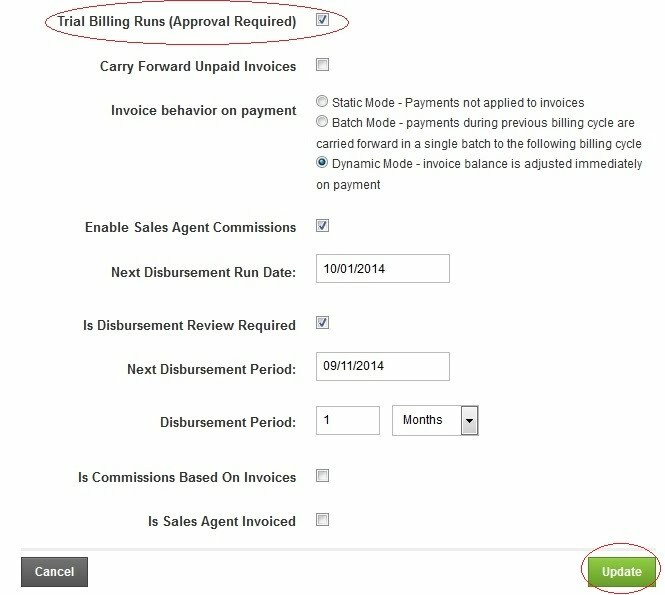 In the Invoice is generated based on the “Tax Mode” set in the Tax configuration earlier. 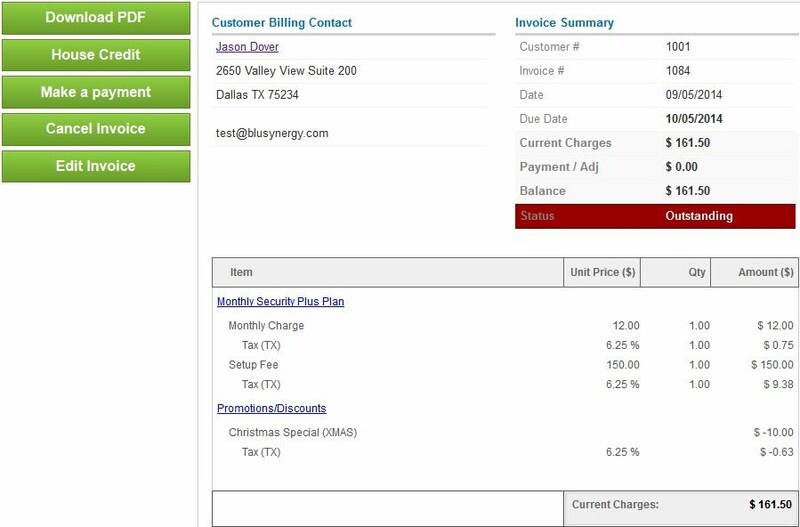 Navigate to [System > Invoice Templates] from the menu bar, and click on it. 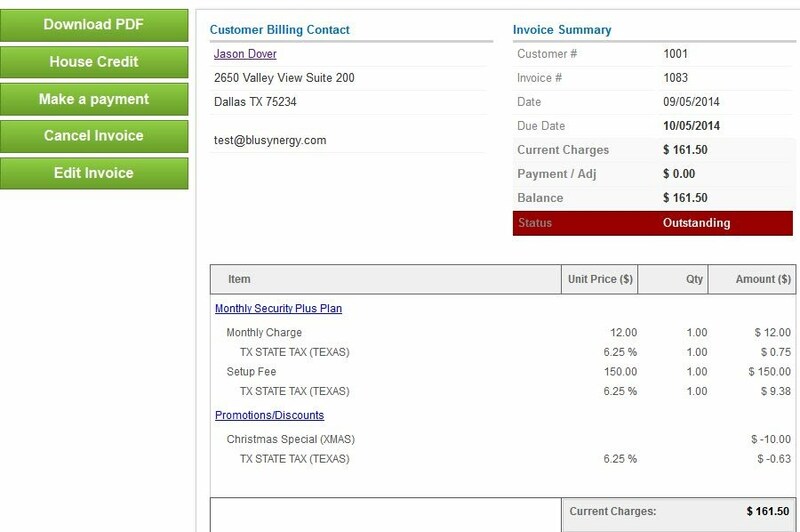 It will take us to a page to set the Invoice format type. 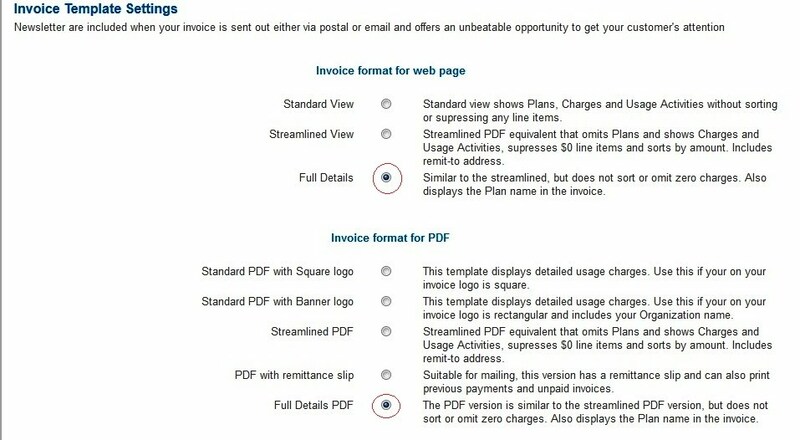 Here select Full Details PDF for a better view of Invoice. Let's generate the Invoice now in different Tax Modes. 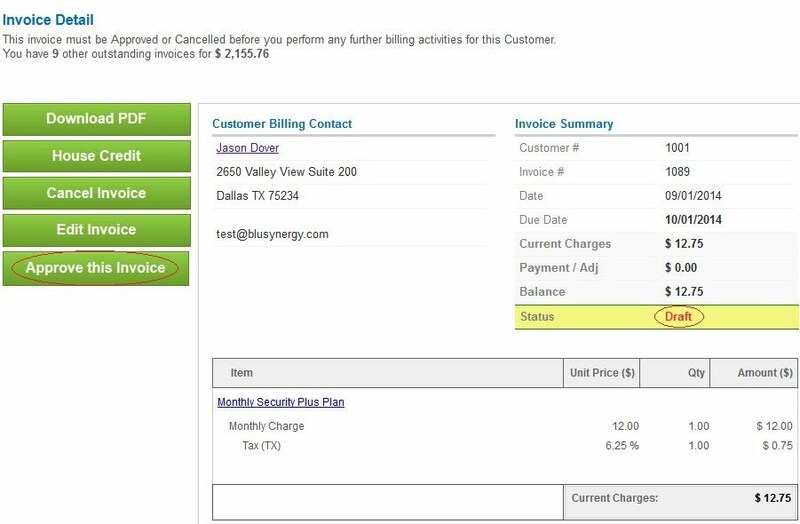 The Invoice generated can be cancelled if required. 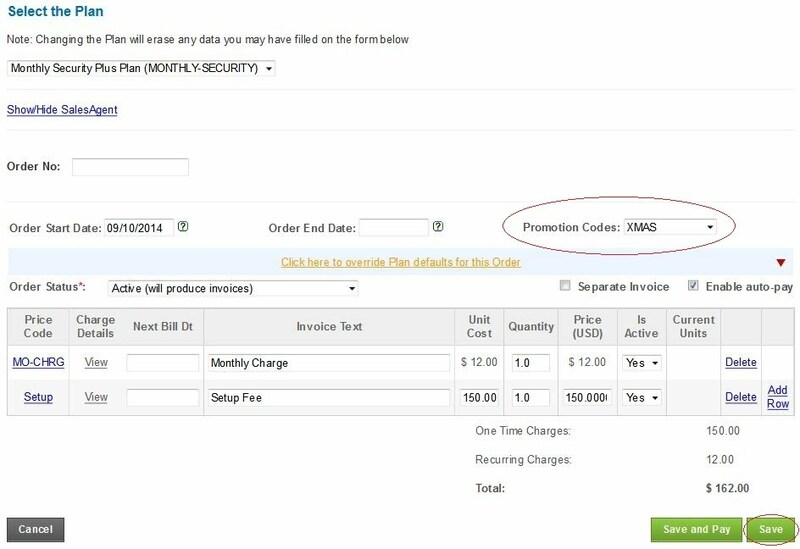 This Promotion code will give the Customer a discount of $10 as per set in the “Promotions” under “Plans” menu.